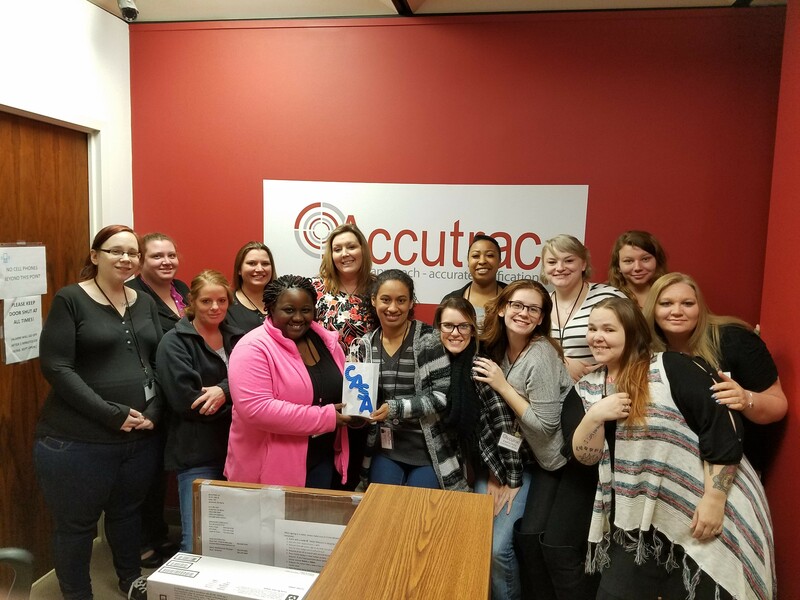 This past month, Accutrac employees donated to support CASA. Donations were collected all month long to support the charity. CASA is an organization that recruits, trains, and utilizes community volunteers to stand in as special advocates for foster children who are in the foster system. CASA stands for Court Appointed Special Advocates. The donations made will go toward supporting the advocates and the children as they go through the trial process of determining whether they will be able to go into foster care, stay with a close relative, or be placed permanently elsewhere. About Accutrac, LLC Accutrac, LLC is a large-volume data verification company that specializes in right party contact, warm transfer, data validation, place of employment verification, and verified place of employment. The company is located in Anderson, IN and headed by CEO Bradley James. Accutrac, LLC has a track record of compliance to industry standards and collection-related laws, and services several Fortune 500 companies as clients.